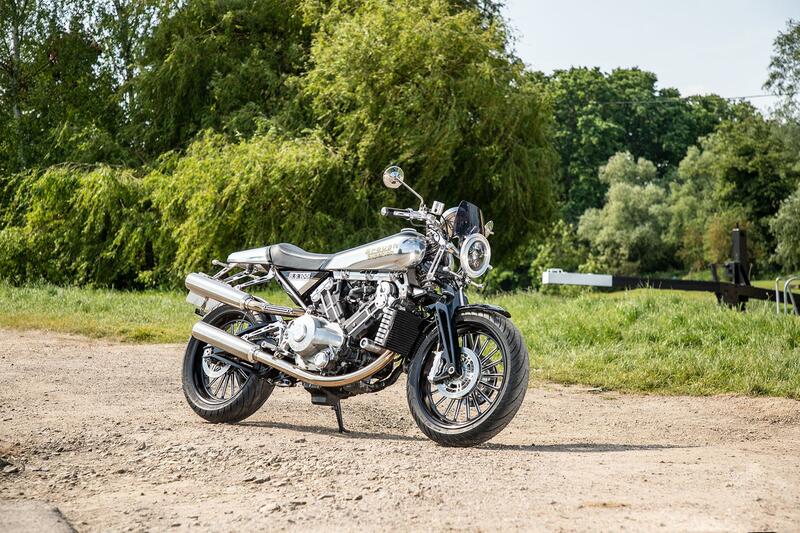 Handcrafted, low-production exotica like the £59,999 Brough Superior SS100 you see here is, for many, the stuff of motorcycling dreams. Built with fastidious attention to detail, interesting engineering solutions, little concession to cost and an alluring back-story, it’s a bike designed to evoke emotions. MCN has been lucky enough to ride many machines like these over the years. But whether they’re produced as a labour of love and tinkered with in a shed every night for 20 years, or built by new companies with revived vintage badges, they all have one thing in common: they’re mostly pretty rubbish to ride. Specials builders and niche motorcycle makers are usually so wrapped up in creating the perfect carbon-fibre piece here, a billet aluminium clamp there and designing the T-shirt, that they have a blind spot for the way their motorcycle actually steers, stops and goes. You can normally tell by their choice of tyres, which never match up to the promise of their creation. 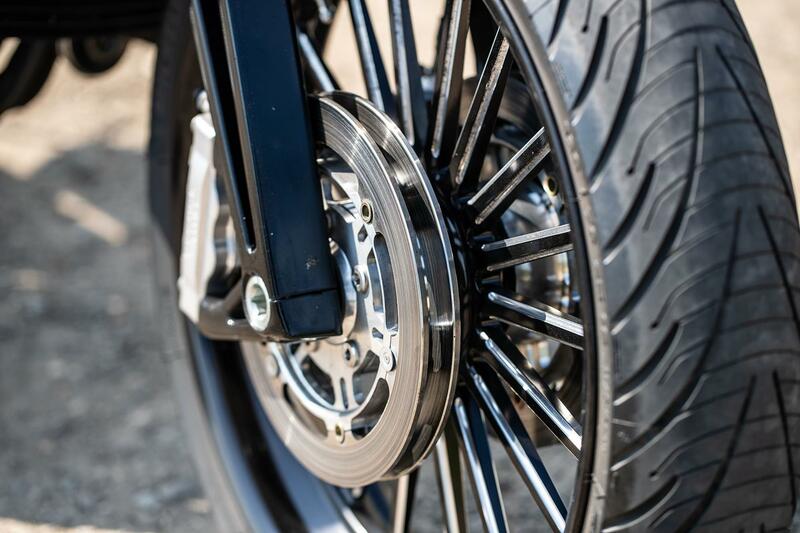 One look at the SS100’s Michelin Pilot Road 3 sports-touring tyres are a sign that history could be repeating itself. There are two ways to review a bike like this. You could neatly gloss over the way it rides and go along with the PR spin, which in this case is all about how the original 1920s-40s Brough was a two-wheeled Rolls-Royce for the well heeled, and every bike that rolled off the production line at its Haydn Road works in Nottingham was guaranteed to do over 100mph. Or, with a cold-hearted road tester’s head on, you could judge the SS100 like any production machine we ever ride, but then would that be fair? Brough doesn’t have a brace of testers, on fleets of bikes, pounding out millions of development miles. When you spend this kind of money on a (slightly more expensive) Ducati Superleggera or BMW HP4 Race, riding perfection is guaranteed. 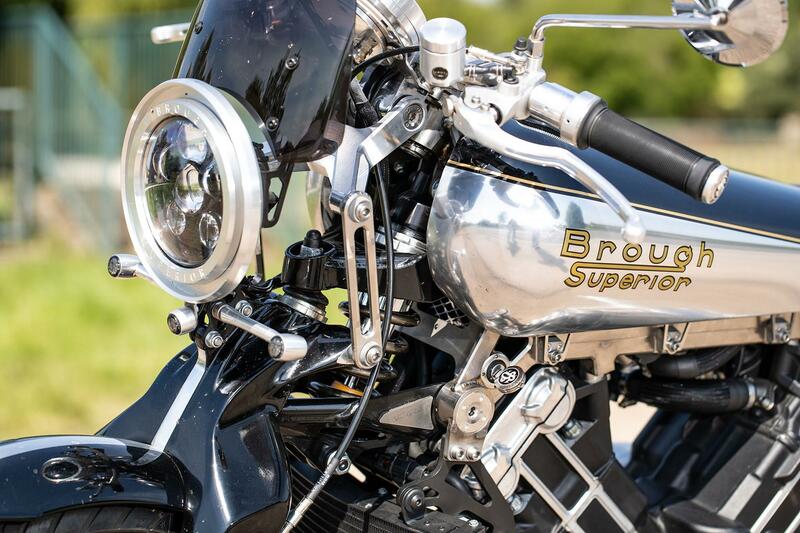 Is the Brough Superior SS100 really worth 60 grand? 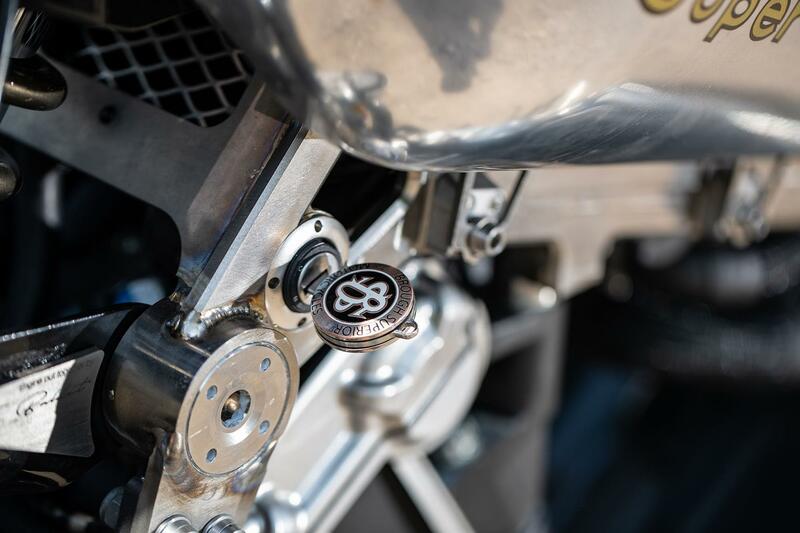 Well of course, it’s no cutting-edge superbike, but it’s beautifully screwed together with bespoke parts and, with only 300 being made, exclusivity is guaranteed. Best of all it actually goes as well as it looks, just like a production bike... and so it should, I hear you mutter. OK, so its Fior-style double wishbone front suspension is overly stiff and, unlike its plush rear, doesn’t deal with big bumps well at speed, making the bars gently slap in your hands under hard acceleration at gentle lean. 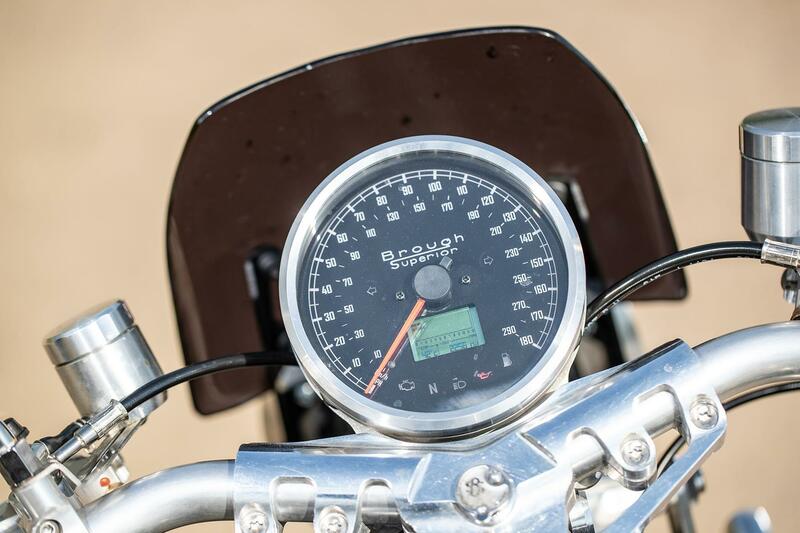 The speedo over reads the faster you go, the switchgear is fiddly, the display is tiny, and up-to-date sports tyres would massively improve feel, steering and confidence. It doesn’t have the performance or poise of a Triumph Thruxton, Kawasaki Z900RS or BMW R nineT, either, but you know what? The Brough isn’t that far behind and no mass produced machine will ever give you such a sense of occasion every time you turn a wheel. In fact it’s so well sorted there’s no reason why you couldn’t use the SS100 as an everyday run-around. It has the look and rumble of a vintage Brit, mixed with the road manners and leak-free reliability of a Honda commuter. 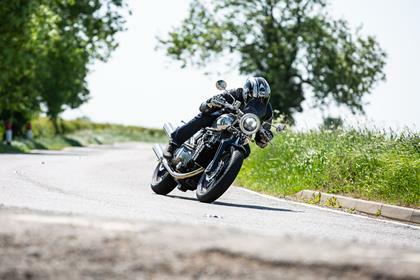 Stiff front end, average tyres and enthusiastic speedo aside, it’s a worthy successor to the original, and you’ll never feel more special carving through the British countryside. The Brough has a sensible turning circle, a slick six-speed gearbox, roomy riding position, excellent low-speed throttle response and the lightest clutch action you’ll find this side of a Honda CBR125R. It might look long and low but it’s not uncomfortable, and you don’t slide off the seat and up the tank under hard braking, either. The stitched leather seat is no Chesterfield, but it will keep you pain free for an hour or so, between coffee stops. All that machined aluminium and titanium isn’t just pretty, it’s light, too. 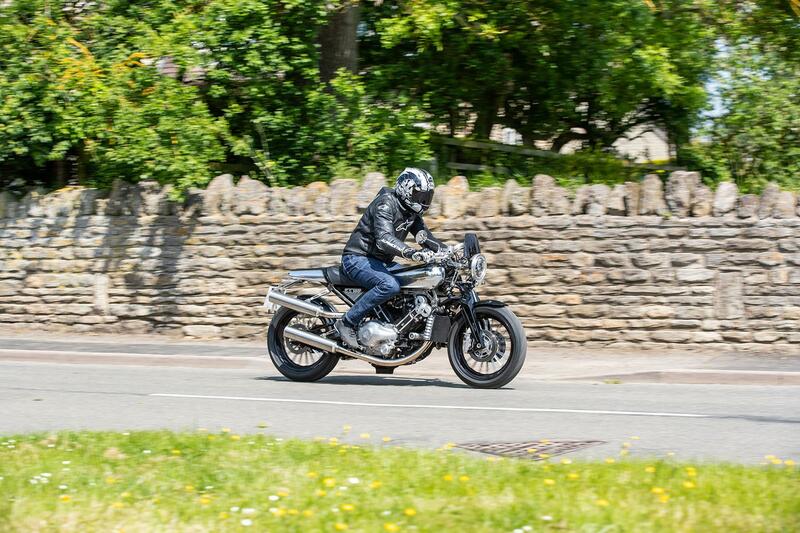 Weighing just 186kg (dry) the Brough is manageable at low speed and fun on the open road. 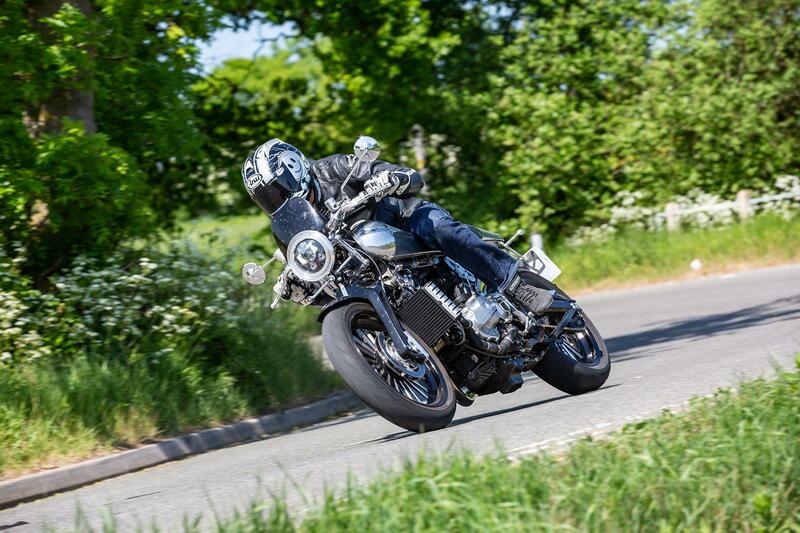 Eighteen- inch wheels give the SS100 slightly lazy steering, like an old Brit racer, but the Brough has a pleasing feel of togetherness about it and goes precisely where you point it, albeit with a bit of elbow grease, but that’s all part of the fun. Four-disc front brakes offer the kind of extraordinary feel, bite and power sadly lacking from modern brake-by-wire systems, and adding to the wind-in-the-hair-drama of it all is the surreal sight of the screen and headlight (bolted to the front double wishbone) bobbing up and down behind the Big Ben-sized five-inch Smiths-style clock as the front wheel tracks over bumps. Its superb 100bhp, 997cc V-twin motor is a marvel of glassy torque, rumbling vintage charm and shimmering speed. 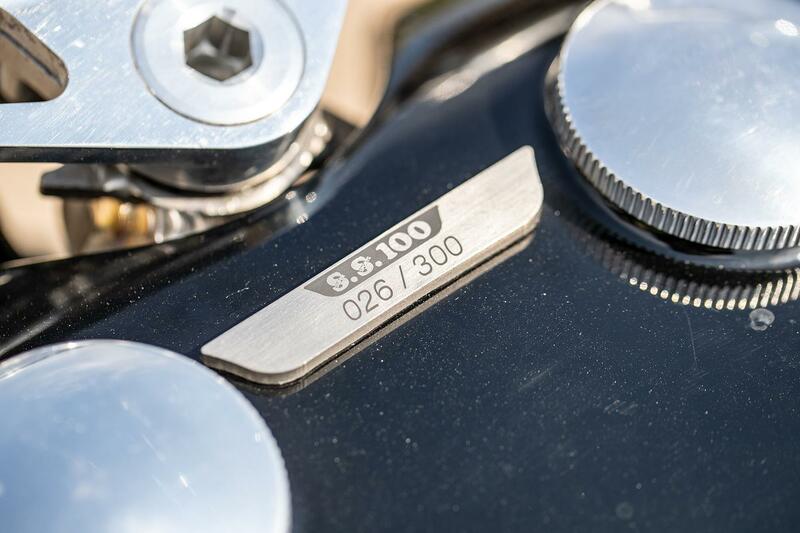 It has all the hot, oily character of an old British motorcycle mixed with clatter-free low rpm smoothness, a bulging midrange and a top end kick that’ll blast you past that sacred, early 20th century 100mph yardstick. The engine isn’t window-shakingly brash, excessively vibey, or loaded with so much earth-crushing torque it’s tiring to ride. 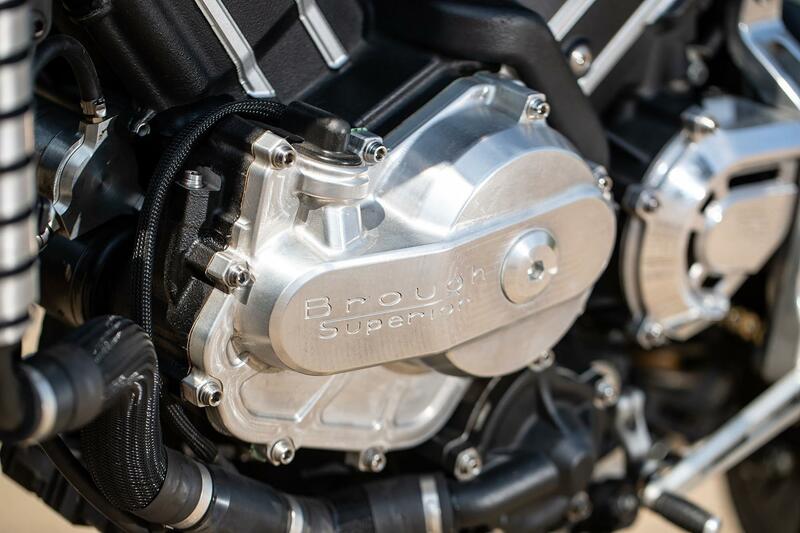 Brough have injected their V-twin with just the right amount of grunt, power and charisma to be enjoyable at any speed, and those optional sports cans add an extra layer of throbbing bass to the SS100’s already fabulous soundtrack. Our 2500-mile test bike shows sign of use but not wear, and one owner has even covered 7000 miles over the winter on his and it’s still going strong. This isn’t some kind of fragile ornament. The SS100 manages to stop everyone in their tracks and every time you park up an interested crowd builds. Its looks polarise opinion, but you can’t argue with the quality and attention to detail. To machine, paint and polish the fuel tank takes 35 hours, the novel 230mm Beringer quad disc set-up is chosen to mimic the look of a drum brake, and the chunky twin filler caps have a satisfyingly weighty feel. You’ll be hard pushed to find any steel or plastic, and plaques screwed to the frame proudly show who built the engine and rolling chassis. Even the key is a work of art. Over 100 of 300 Broughs have already been made and production ends at the end of the year. You’d better get in quick if you fancy something truly exotic that can actually be used like a proper motorcycle, too. It’s anything but cheap, but the SS100 goes as well as it looks, which is rarely the case with limited-run exotica. 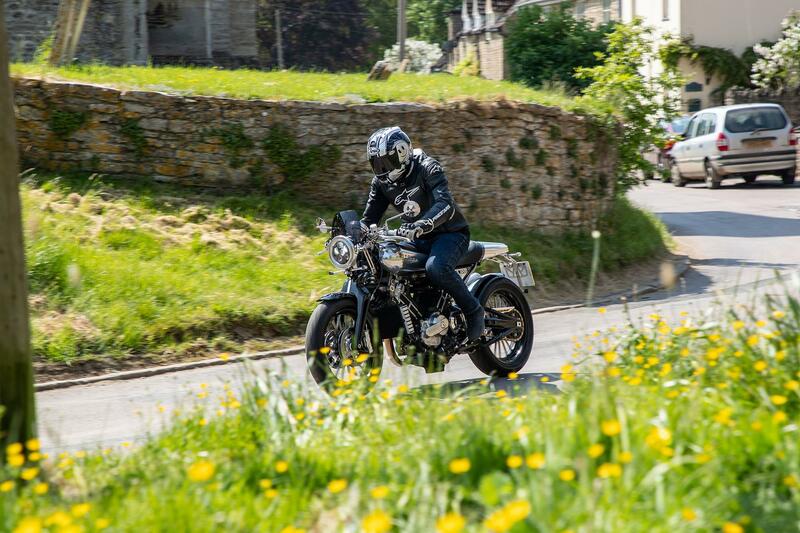 So, if you’ve got a spare £60k burning a hole in your pocket, the Brough Superior is the ultimate sunny Sunday feel-good bike. 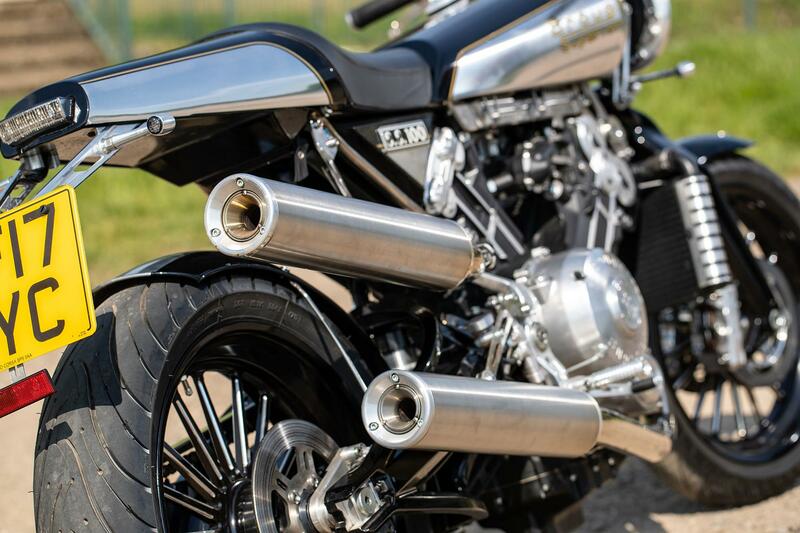 The Brough Superior may be a luxury motorbike, but you don't get any of the mod cons you would from even middle-of-the-range modern bikes. There are, however, touches of class everywhere you look, from the double wishbone front suspension to the polished fuel tank and quad-disc front brakes. Who needs a TFT dash or Bluetooth connectivity anyway? 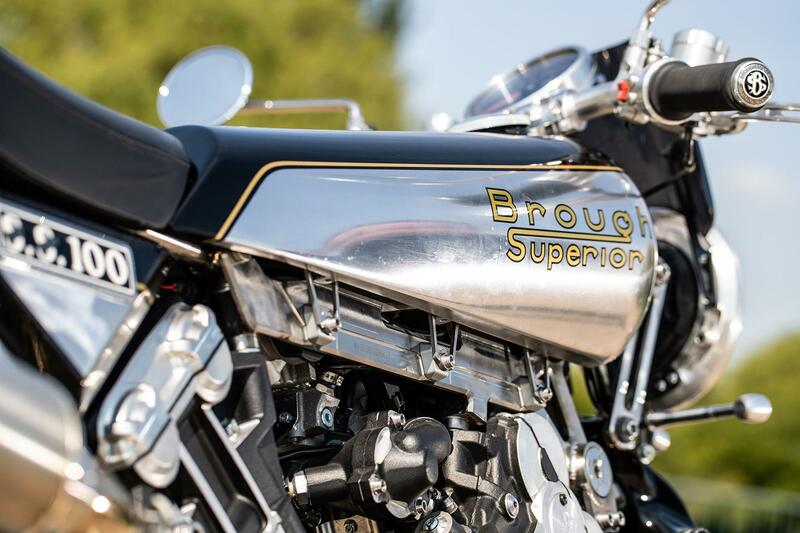 The modern Brough Superior bikes are an homage to those designed and built by George Brough in the 1920s and 30s. 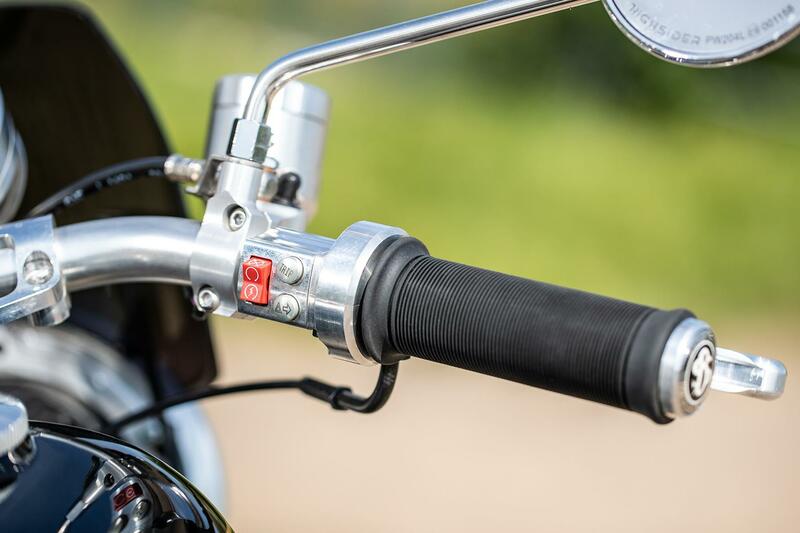 Referred to as the ‘Rolls-Royce of motorcycles’, the original bikes were luxurious, reliable and very fast. The original company was wound up after World War II and the current brand operates out of Toulouse, France under the leadership of Mark Upham. 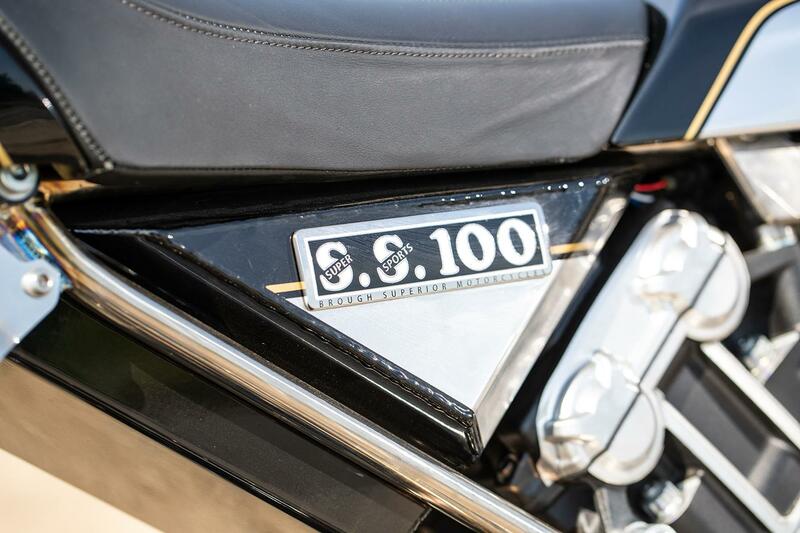 The first run of modern SS100 bikes was produced in 2016. 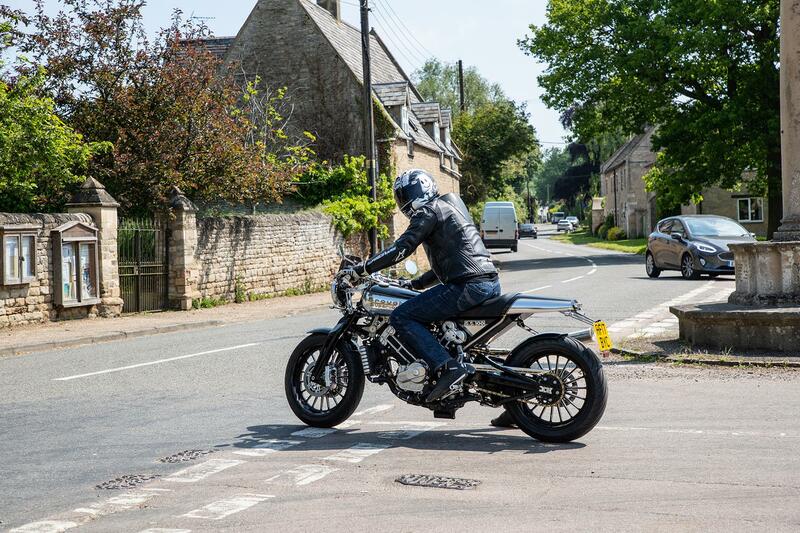 The options list for the Brough Superior is very long indeed with much of the bike customisable to some degree. Two Brough Superiors will rarely be the same as a result. Alongside the standard SS100 is a Pendine Sand Racer version. 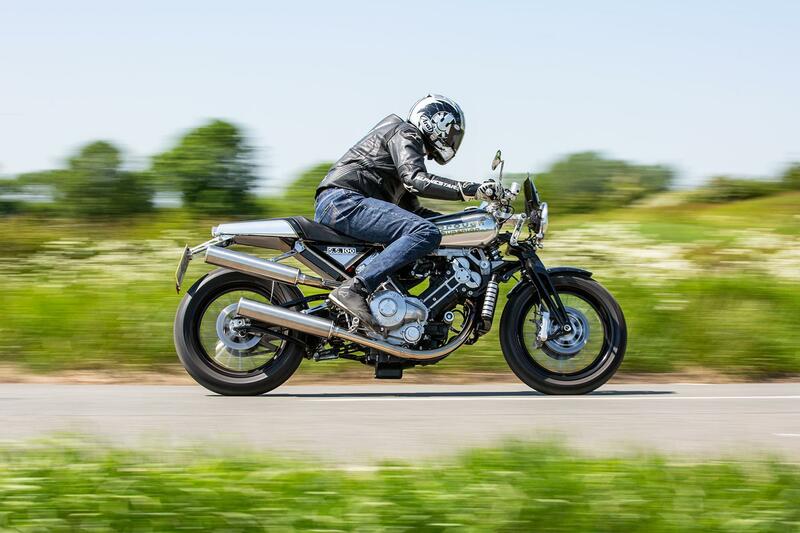 No owners have yet reviewed the BROUGH SUPERIOR SS100 (2018-on).